Another week of 10K training is in the books! If you missed week 1 be sure to check it out here. This week was a little different as I finally decided to put my big girl pants on and take on some speedwork on the track. 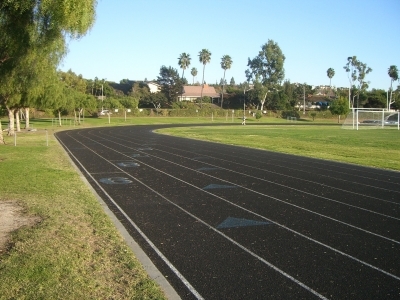 I wanted to keep it simple, so I came up with an Easy Track Workout. When it comes to track workouts, the main workout that comes to everyone’s mind is the famous Yasso 800’s, which are supposed to help predict your marathon finish time. Since it was my first time visiting the track, and the first time doing some legit speedwork in a LONG time, I decided to simplify it a bit and see how I did. The first sprint wasn’t too bad. At one point I looked over to the Englishman and said “we’re going a 6:29 pace!” which has never happened before in my life. Before I knew it we had crossed the line on the track and started jogging. The second sprint wasn’t terrible but I could definitely feel my lungs burning. Thank god it’s only 400 meters. The third sprint: why did I decide to do five of these again? On the fourth sprint I worked on increasing my stride which helped tremendously. And then there was the fifth and final sprint. By this point I was convinced I was going to pass out or puke. Thankfully I did neither. Then there was a sweet recovery jog and a nice cool down walk. Since this was my first time doing a track workout I didn’t get my splits but we managed to cover 5 miles in 42 minutes which is roughly a 8:30 pace. This workout was definitely challenging but I can see how speedwork is beneficial and critical to increasing speed and stamina. While I don’t think I’m quite ready for Yasso 800’s yet, I definitely am ready to have speedwork a part of my weekly routine. In addition to speedwork, I also got some solid runs in this week, including one with Karla from Foodologie! 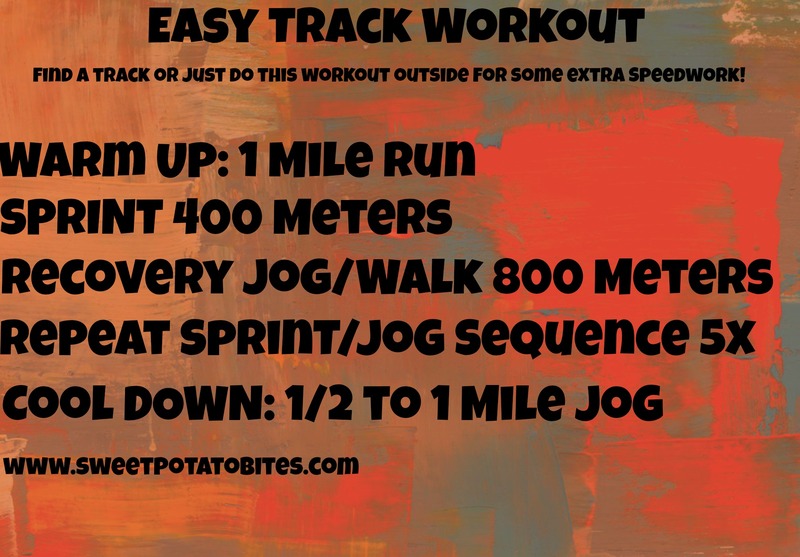 This entry was posted in Healthy, Life, Running and tagged speedwork, track workout on November 11, 2013 by allie@sweetpotatobites. Oh man! I did speed work on a track once when I was in grad school. I asked my runner friend what to do and she basically told me to do exactly what you described. I didn’t have a Garmin so I had no idea what my pace was but I had a watch to make sure I wasn’t slowing down during each sprint. Those go by surprisingly fast. I’m super excited for Wednesday running!